Dental implants have become a popular dentistry procedure, and the latest advancements in the science behind implants assure remarkable results. In addition to using the latest techniques and procedures, we are one of the few dental practices in the region to use CBCT 3D Technology, a specialized imaging system (read more below). A dental implant is an artificial tooth root placed into the jaw which then serves as the anchor for a replacement tooth or bridge. Implants commonly help replace a lost a tooth or teeth, and can be exceptionally effective in many cases. 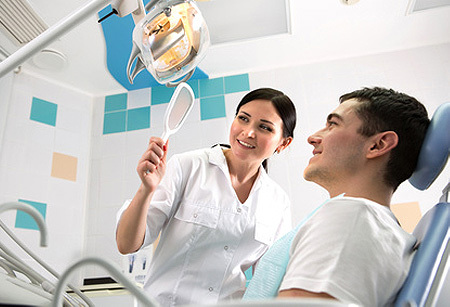 Your dentist will assess the implant area and plan how the implant will be placed. During the procedure itself, a titanium post is implanted into your jawbone that will then function as the root of the artificial tooth. Once the tooth is placed onto the implant, it will look like and function like the natural tooth that was once there. 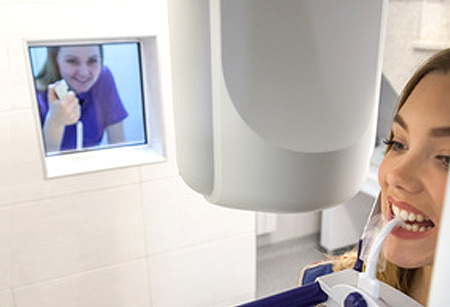 The CBCT 3D technology allows dentists to use 3D images produced by special scanning x-ray techniques. Rather than a more typical flat x-ray image, the scans provide a detailed view of the mouth and skull, including important elements such as the soft tissues, bone structure and even nerves of the implant area. With this crucial information, the implant procedure is far less invasive, has a new level of precision, and reduces pain and healing time significantly. The technology also produces the scan in one pass, incorporating all of the above details into a single amazingly detailed 3D image. (This also offers the advantage that it reduces exposure to x-ray radiation while obtaining a superior amount of information.) Please ask us for more information about this amazing technology.